BMW of Bend is proud to offer the highest quality in auto repair services. Our service technicians can keep your new BMW car running as smooth as the day you bought it. While we are a BMW dealership, our qualified technicians are here to provide exceptional auto service, no matter the make or model of your vehicle. We know those vehicle problems tend to happen at the worst possible times. Life doesn’t stop when your vehicle does; that’s why our Bend auto shop is here for you when you need us! Anything you need, including car battery checks, BMW brake Service, tire rotations, and much more. From oil changes to transmission replacements, BMW of Bend Service Center has you covered. We’ll make sure you get to wherever you need to be while your vehicle is in our care, whether that is work, school, or home. BMW of Bend offers complimentary shuttle service when you drop your vehicle off and when it is ready to hit the road again. 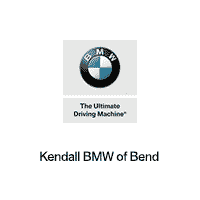 Our team provides the highest level of service to our customers, whether it’s your first time visiting BMW of Bend or you’re a longstanding Kendall customer. Give us a call to schedule service with BMW of Bend, serving nearby cities of Terrebonne, Madras, and La Pine, Oregon with quality BMW repair. Exceptional Customer service for all of our clients!